For Project website click here. In Monitoring of Lenin’s Sales on Amazon.com, I literally monitor sales of the book Essential Works of Lenin: "What Is to Be Done?" and Other Writings (Paperback) by Vladimir Ilyich Lenin on Amazon.com, the top global book selling website. For each book sold on Amazon.com, its Sales Rank is listed. According to Amazon.com, sales ranks are updated every hour of every day around-the-clock for each of millions of items. An item's sales rank is a reflection of its entire sales history at Amazon.com. The absolute top best seller on Amazon.com has the sales rank of #1. 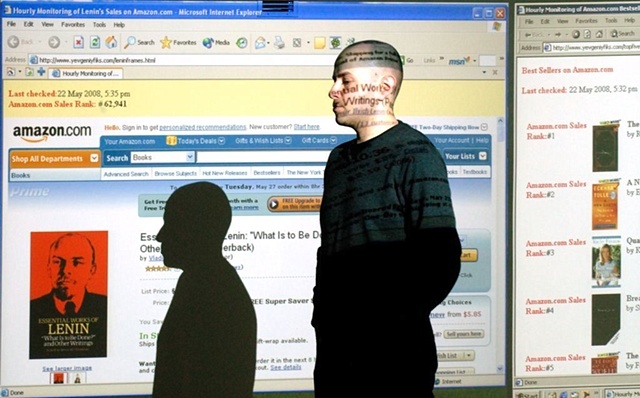 In Monitoring of Lenin’s Sales on Amazon.com, I with the help of programmer James Boyce, who wrote the computer code, effectively transforms the gallery into a point of collection and presentation of statistical information on sales of Lenin’s books around the world. The computer program checks sales rank of Essential Works of Lenin: "What Is to Be Done?" and Other Writings on Amazon.com every hour of every day around-the-clock and presents this data to the audience in real time over the course of the exhibition. 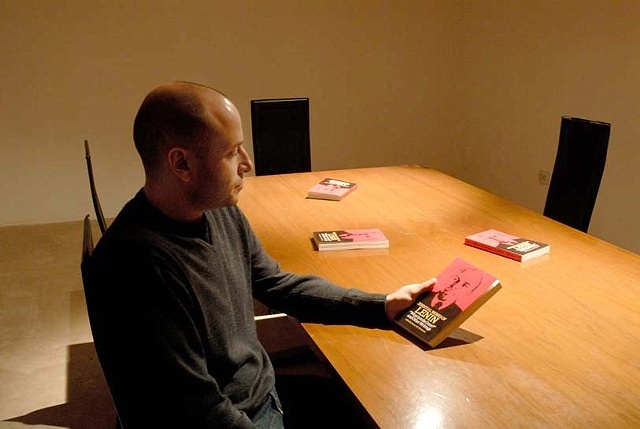 The Installation consists of three video projections and a reading room. The projections include the actual web page of book Essential Works of Lenin: "What Is to Be done?" and Other Writings on Amazon.com with its current sales rank visibly displayed. The second projection will be a graph of daily changes of the book’s sales rank. 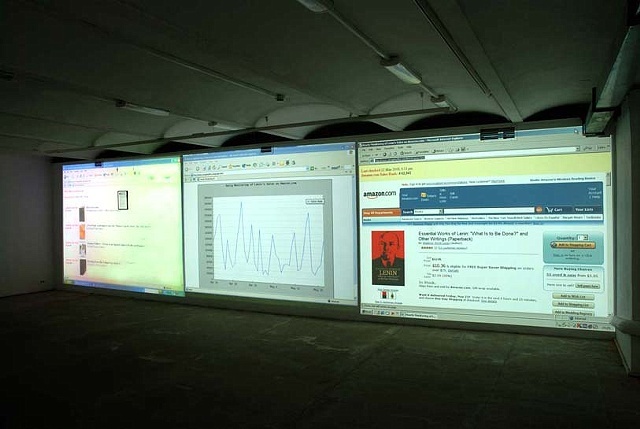 The final projection will display the top five bestsellers on Amazon.com, placing Lenin’s book into a larger context. Also included will be a reading area, where chairs, table, and several copies of the actual book Essential Works of Lenin: "What Is to Be Done?" and Other Writings (Paperback) by Vladimir Ilyich Lenin will be provided for the audience’s use. Monitoring of Lenin’s Sales on Amazon.com narrates our post-utopian moment, where even revolutionary texts have sales ranks and are being commodified. In this project, monitoring Lenin’s sales on Amazon.com becomes a metaphor for effectively “monitoring the revolutionary situation” of the post-utopian moment itself, using tools provided by the capitalist economy.